Zhang Yi Yuan (张一元) tea shop in Beijing with its bright interior and gorgeous jasmine tea scenting aroma wafting into the street. Just over 100 years ago, a few months before H. Gordon Selfridge opened his world-famous department store near London’s swanky Bond Street, a gentleman called Zhang Wen Qing (张文卿) opened a store in the heart of Beijing which was to become equally legendary for its innovative marketing and creative, customer-friendly focus. 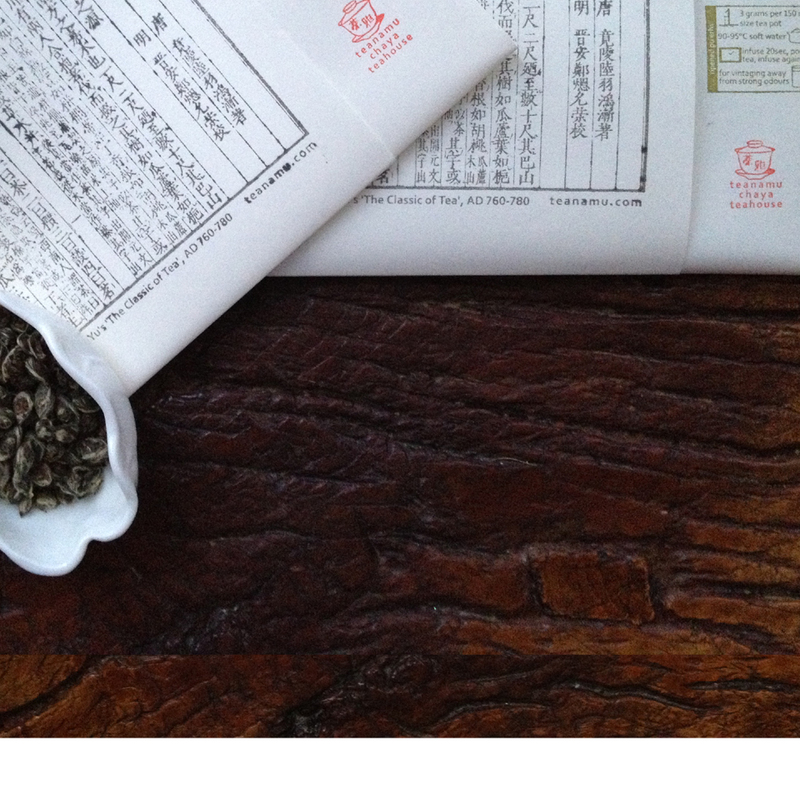 Naturally – as I am writing about it in teanamu’s tea blog – it was a store selling tea! 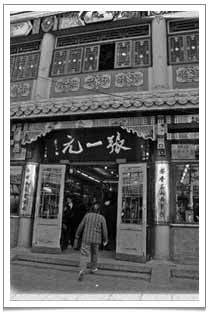 It was in 1908 that Zhang first opened his doors for business in the upmarket district of Qianmen (then not unlike the part of London selected by Selfridge for his establishment!) His shop Zhang Yi Yuan (张一元) quickly became known for buying only the finest quality tea from the most trusted tea farms back in his distant home province of Anhui. His tea was celebrated for its extraordinary flavours, colours and aromas. Zhang personally supervised every aspect of the enterprise including, crucially, shop layout and design. The front part of the shop had a very high ceiling allowing in a great deal of light so that conditions were optimal for customers to view and assess the quality of Zhang’s wonderful teas. At the rear was a workshop where scenting was carried out, using a special process devised by Zhang, and from there the glorious aroma of jasmine pervaded the shop and carried out into the street, drawing in hundreds of well-heeled, appreciative Beijingers. Zhang was something of a visionary. He was the first shop owner in China to play gramophone music, such as Chinese opera arias, to entertain shoppers and to lend his store a lively, buzzy atmosphere. He was the first to offer ‘free delivery’ for bulk buyers. But above all it was that high ceiling which assured him his place in posterity: the term ‘ming cha’ (明茶), made up of the characters for ‘bright or light’ and for ‘tea’ is still in common use in marketing textbooks, in recognition of the importance of matching the shopping environment in the most precise, practical way to the actual needs of the relevant customer group. Actually, the complete phrase is ‘ming cha an bu’ (明茶暗布). ‘An’ (暗) means dark or dim, and ‘bu’ (布) means cloth or silk. ‘Ming cha an bu’ conjures up two opposite pictures of the ‘ideal shop’. Selling fine tea leaves requires very good light, so that potential buyers can inspect the subtle hues, shapes and other qualities of the product. Cloth, on the other hand, is best viewed in natural, slightly subdued light. This is most famously exemplified by the cloth shop founded in 1893 by Meng Hong Sheng (孟鸿升), a direct descendant of Confucius. Meng’s shop Rui Fu Xiang (瑞蚨祥) was in the same street as Zhang’s tea shop. It was the poshest shopping district of old Beijing. Silks and leathers from all parts of China, every kind of quality and price level, were gathered under a single roof, each roll of cloth embroidered with the name of Rui Fu Xiang. A skylight gently filtered the light, providing absolutely the best environment in which to view the real texture, colour and quality of each item. Meng was original and radical in many of his retail practices (Mary Portas would have been proud of him!) but above all he was determined to build a reputation for reliability and trustworthiness; he never short-changed any customer, and it is this integrity that I personally admire and celebrate with this little excursion into late Qing Dynasty shopping history, which I hope you have enjoyed!